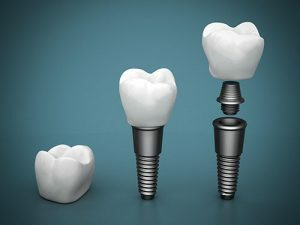 Dental implants are artificial tooth root replacements made from titanium. The implant is surgically placed into the jaw to replace the missing roots so that the dental crown or bridge can be attached. Your experienced dentist at Cardiff Dental will give you the correct advice on what type of implant suits you best, but of course, this will depend on your oral condition. The initial consultation involves the taking of x-rays and may include digital imaging or other forms of examination. After careful considerations and discussion, your dentist will prepare and present a treatment plan with its corresponding costs. Your dentist at Cardiff Dental will surgically insert the titanium implants into the jaw. The integration of the titanium implant and your jawbone will take around 4 to 6 months. During this time a temporary tooth or teeth will be placed onto the implant. Your dentist will expose the implant, take impressions and fabricate a model upon which a new dental crown or bridge is based. Given that the implants are integrated into the jaw bone, the replacement teeth will look, feel and function just like your natural teeth. One of the best and modern ways to restore and enhance your smile is through implant dentistry. If you have missing teeth and would like to restore your smile and chewing functions with dental implants, let your skilled dentist at Cardiff Dental take care of you. We only use the highest quality in our dental implants and perform the procedure with care and efficiency to help you achieve a healthy, beautiful smile that lasts. 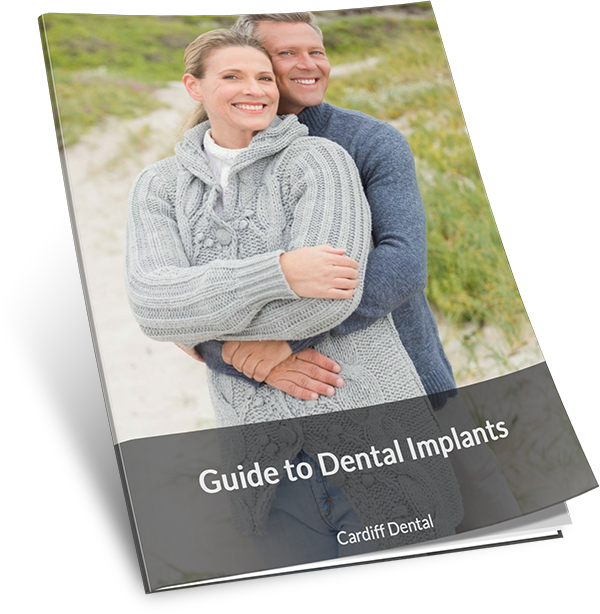 To know more about our implant procedure, contact Cardiff Dental on (02) 4954 6888 today. To claim your offer call us on (02) 4954 6888 or make an appointment online.